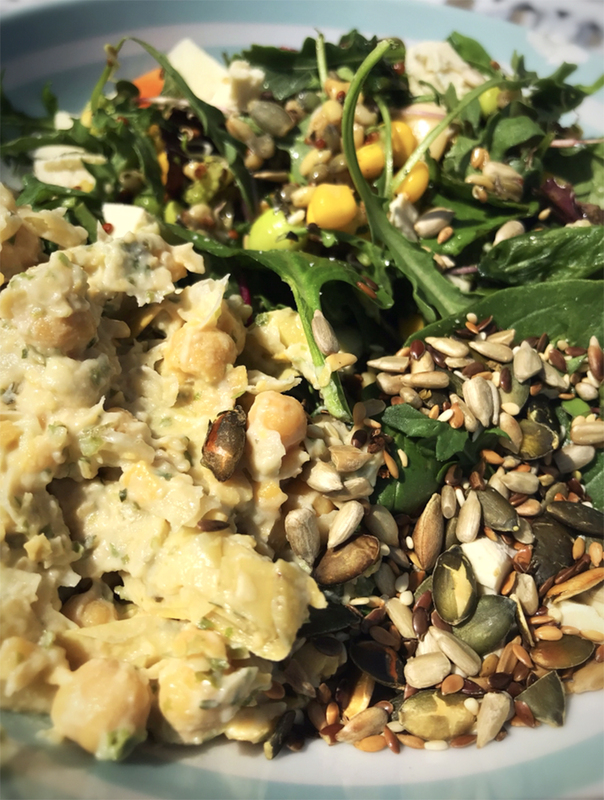 Although totally plant based, Rachel’s vegan recipe for this month has a taste of the sea with the addition of kelp. You can use this recipe as an alternative to tuna and add it to salads, toasties or jacket potatoes. Rachel cooks ‘Healing Meals’ at the Swansea Wellbeing Centre, Walter Road, Swansea SA1 5PQ Telephone 01792 732071 every Friday – breakfast and lunch – eat in or take away. Blend the chickpeas until roughly chopped then add the artichoke hearts and pulse for a few more seconds – you want to keep the flakes. Chop the onion and celery into fine dice and add the rest of the ingredients and stir through.